I joined AALL after attending a HALL (Houston Area Law Librarians) event in August 2014. I had started my first job out of grad school as a private law librarian and one of the first vendor reps that I met, Blythe McCoy, suggested that I check out HALL. Since I was new to the profession and the only librarian in my office/branch I wanted a way to meet and interact with other law librarians in the Houston area. So truly, HALL is what brought me to AALL. 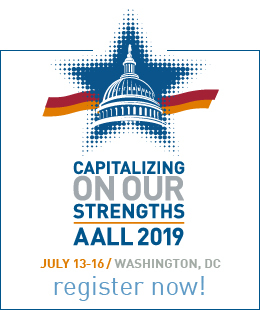 AALL is a way for me to connect with colleagues around the country/globe, stay current on trends and issues in the profession, and also provides a ton of professional development and continuing education opportunities. The mentoring program is something that I really value. 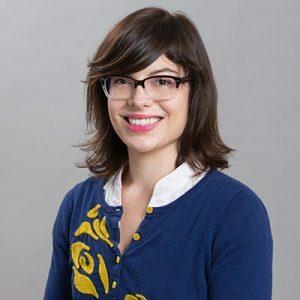 When I first started out as a law librarian I found a mentor via AALL and that relationship has been extremely important in my professional development. 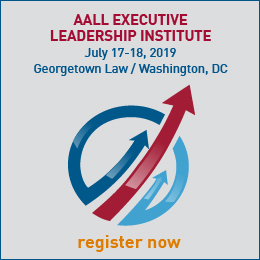 I highly recommend that other AALL members take part—whether as a mentor or mentee. Learn About the AALL Mentor Program. I have two. One is the general camaraderie at HALL meetings in Houston. Another great memory I have is of taking part in an innovation tournament at the PLLIP Summit in Philadelphia in 2015. When the weather is nice I like to take advantage of Minneapolis’ parks and lakes and spend time hiking and canoeing. I also really enjoy cooking. I am a huge fan of romance, so right now I am reading A Princess in Theory by Alyssa Cole. I traveled to Charleston, SC last spring and absolutely fell in love. Between the history, the food, and the beaches it was everything I could ask for in a vacation spot. However, I also love traveling to the Boundary Waters Canoe Area in northern Minnesota as well.